Aircraft that can take off and land directly without the need for a runway - such as helicopters and quadcopters - are attractive for personal, commercial and military applications as they require less physical space and infrastructure compared to traditional fixed wing planes. A team from the National University of Singapore (NUS) has achieved a major step forward in stretching the capabilities of quadcopter drones by powering the flight solely by natural sunlight. 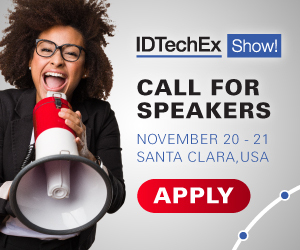 For more information see the IDTechEx reports on New Robotics and Drones and Energy Independent Electric Vehicles Land, Water, Air. A first in Asia, the current prototype has flown above 10 metres in test flights - higher than a typical three storey building - utilising solar power with no battery or other energy storage on board. This solar-powered drone, which was developed as a student project under the Innovation & Design Programme (iDP) at NUS Faculty of Engineering, can take-off and land vertically without a runway. Constructed using lightweight carbon fibre material, the quadcopter drone weighs only 2.6 kg, and has a surface area of about 4 sqm. It is fitted with 148 individually characterised silicon solar cells and supported by a frame equipped with four rotors. Rotary winged aircraft are significantly less efficient at generating lift compared to their fixed wing counterparts. Hence, while there have been examples of solar airplanes in recent years, a viable 100 per cent solar rotary aircraft that can take-off and land vertically remains a major engineering challenge to date. "Our aircraft is extremely lightweight for its size, and it can fly as long as there is sunlight, even for hours. Unlike conventional quadcopter drones, our aircraft does not rely on on-board batteries and hence it is not limited by flight time. Its ability to land on any flat surface and fly out of the ground effect in a controlled way also makes it suitable for practical implementation," said Associate Professor Aaron Danner from the Department of Electrical and Computer Engineering at NUS Faculty of Engineering, who supervised the project. The solar-powered quadcopter drone can be controlled by remote control or programmed to fly autonomously using a GPS system incorporated into the aircraft. The aircraft can potentially be used as a 'flying solar panel' to provide emergency solar power to disaster areas, as well as for photography, small package delivery, surveillance and inspection. Batteries can be incorporated to power the aircraft when there is no sunlight or for charging to take place during flight to enable operation when it is cloudy or dark. Other hardware such as cameras can also be included for specific applications. Since 2012, eight NUS student teams have made successive design improvements and worked towards a fully-solar powered aircraft under the supervision of Assoc Prof Danner, who also holds a joint appointment at the Solar Energy Research Institute of Singapore at NUS. The first solar-assisted quadcopter drone developed by students in 2012 could only achieve 45 per cent of flight power from solar cells and the rest from on-board batteries. The latest team, comprising then-final year NUS Engineering students Mr Goh Chong Swee, Mr Kuan Jun Ren and Mr Yeo Jun Han, made further refinements to the earlier prototypes of the quadcopter drone. They eventually achieved a fully solar-powered flight with their latest prototype. The team members, who have just graduated from NUS in July 2018, were jointly supervised by Mr Brian Shohei Teo from the iDP programme for this project. Mr Yeo said, "We encountered many engineering challenges when building the drone. These included finding an optimal number of solar cells efficient and light enough to power the propulsion system, which in turn has to be light and at the same time able to produce sufficient thrust to lift the aircraft. Other issues we faced included tuning and calibration of flight controls to enhance flight stability, as well as designing a frame that is lightweight yet sufficiently rigid. This has been an excellent learning opportunity for us." "To be able to make something fly under control for a long time is a very complex engineering problem. Our students have attained flight in its purest form, powered by natural sunlight. This is an amazing achievement," said Mr Teo. The team will continue to fine-tune the aircraft to further improve its efficiency. With these enhancements, they hope to bring the technology closer to commercialisation.